Duncan Fletcher , the team India coach, asked for BCCI's permission to take Munaf Patel, R. Vinay Kumar and Praveen Kumar to the Buddh International Centre in Greater Noida which will host the inaugural Formula One Indian grand Prix with a pious hope that speeds of over 325 kmph will excite Munaf & Co and inspire them to bowl fast. The moment Munaf entered the circuit, he asked "Pitch kahan hai?" Vinay Kumar was excited to see the 5 kms track spread over 800 odd acres as he felt that with such a huge ground noone would be able to hit him for sixes. Duncan roared, " this is a F1 track ...not a cricket ground". Indian pacers were never quick. The spin quartet of Bedi, Chandrashekhar, Prasanna and Venkatraghvan would annhilate the helpless opposition who would be clueless about playing quality spin bowling after the pace bowlers were used to only take the shine off the ball. Just like there is nothing called "a patient knock by Virender Sehwag", there wasn't anything called the " Indian Fast bowling attack" . Bowlers like Karsan Ghavri, Madan Lal, Roger Binny would,today, make R. Vinaykumar look like Dennis Lillie! In the year, 1978, Kapil Dev, burst on to the scene, and made an accomplished Pakistan batsman replace his cap with a helmet. In those days wearing a helmet while facing the Indian pacers was like wearing thermal wear to brave the Goan winter. Thanks to Kapil Dev, people could dare to put two disparate set of terms "Indian' and "fast bowling attack" in one sentence! What Kapil did to the spin era was what Amitabh Bacchan did to the Rajesh khanna era with "Zanjeer". Since Kapil would be a bad advertisement for a toothpaste, they made him endorse a shaving cream and his "palmolive da jawaab nahi" in his voice meant no music company would ask him cut a Music album a la Sanjay Manjrekar. 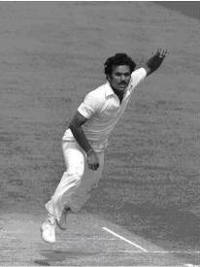 Kapil Dev's protege Chetan Sharma showed great promise. The English press called him "CHEATan" Sharma as they thought, a bowler who lacked height could only generate pace by chucking. Chetan Sharma was solely responsible for making Pakistan cricket team a super power in Sharjah. Years after Javed Miandad hit a last ball six to Chetan Sharma, "Sharjah Haar jaa" became a Indian Cricket team jingle in Sharjah!. Chetan Sharma is now seen in the TV studios analysing the matches wearing hideous combinations of shirts,ties and jackets in Psychedelic colours prompting the viewers to turn their TV sets off. Pakistan was lucky he didn't wear those colours, that fateful evening in Sharjah else Miandad would have been blinded and India would've won easily. Raju Kulkarni, the Bombay speedster, always remained the oldest newcomer and perhaps didn't get his due! 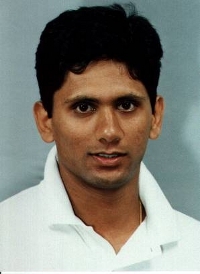 Pace academies churned out pacerss for India starting from Vivek Razdan, Javagal Srinath and Venkatesh Prasad. The only sign of speed Vivek Razdan showed was when he quickly went out of the Indian cricket team. If Dwayne Bravo has got the best disguised slower ball in the business then Venkatesh Prasad had only slow delieveries in his repertoire. Sometimes he surprised himself with a faster delivery. Ultra slow motion technology which we see today is inspired by Prasad's bowling. The only time Prasad was really fast was when he returned back to the Pavillion after.getting dismissed cheaply! When God was distributing cricketing brains, Javagal Sreenath and Ajit Agarkar were sharing an Idli Sambhar behind the Chinnaswamy stadium. How do you explain two scorching yorkers and as many fulltosses down the leg side and that too in one over? In between there were bowlers like Atul Wassan, Salil Ankola, B. Arun, D Ganesh, L. Balaji who went out of the team just the way the ball goes out of Kamran Akmal's gloves. Atul Wassan was so fast that he was the first to be at the dinner table after the team meeting. Manoj Prabhakar though lacked the express pace, he was the finest exponent of the slower ball, swing bowling and swear words (not necessarily in that order) which were mostly in hindi. L.Balaji was a bigger hit in Pakistan than Ghulam Ali. If Zaheer Khan is the best left arm pace bowler today then Ashish Nehra is the best toothy left arm pacer in the world!!. Ishant Sharma and Sreesanth look ferocious only when they are not bowling. 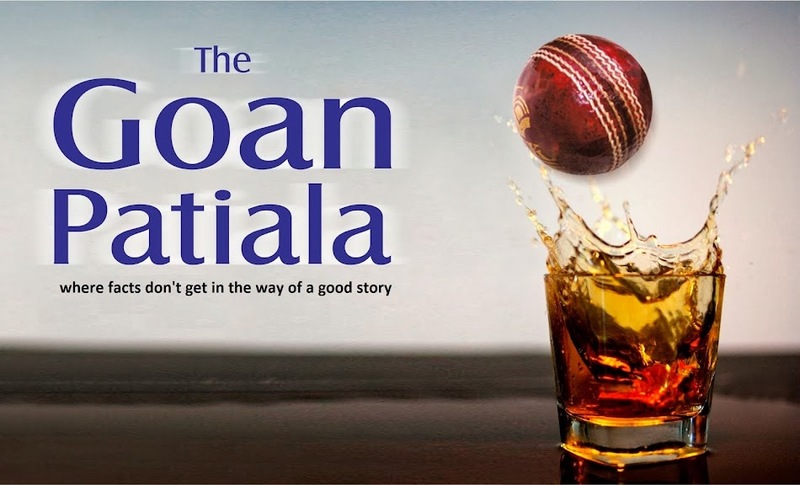 Irfan Pathan would be an ideal brand ambassador for automobile braking systems .From 140kmph to 80 kmph within no time! India never had tearaway fasts, like Pakistan. Pakistan has more fast bowlers than CNBC TV 18 has pretty anchors. I met Sehwag, and i asked him "isn't it sad that we don't have a single quick bowler who can do 155 kmph?" Pat came the reply from Sehwag "Irfan Pathan does 160 kmph almost everyday". I said where? "In Yousuf Pathan's BMW!" I quickly left from there!! POST # 5. FILMY "CHUCKER"